Is Intel's dominance under threat? 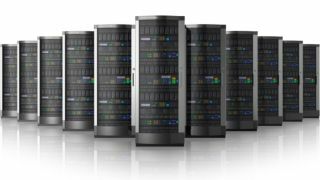 Servers powered by IBM's Power8 architecture are expected to reach the market early 2015 as Big Blue announced that it will license its technology to others. Ken King, general manager, OpenPower alliances at IBM's Systems and Technology Group, confirmed that the servers would initially target cloud and high-end applications. The move comes as IBM's Power-based server sales plunged 28% in the second quarter after the company decided to sell its x86 server range to Lenovo earlier this year. It will also allow IBM to gather more momentum by increasing industry support, the application base and the size of the ecosystem - in a similar manner to what Oracle did with Open Sparc. IBM formed the OpenPower Alliance last year ahead of that announcement and counts Google, Ubuntu, Samsung, Nvidia and Micron as its key members. Google was apparently interested in the number of virtual machines supported by Power8 compared to x86 architecture. IBM only introduced its first Power8 products last month; the chip runs at up to 5GHz with up to 12 cores, 96MB L3 cache and 96 threads. It's also worth noting the presence of a surprisingly high number of Chinese companies, nearly 10 of them, which might be an indication that the Power architecture has received a tacit approval from the Chinese government.